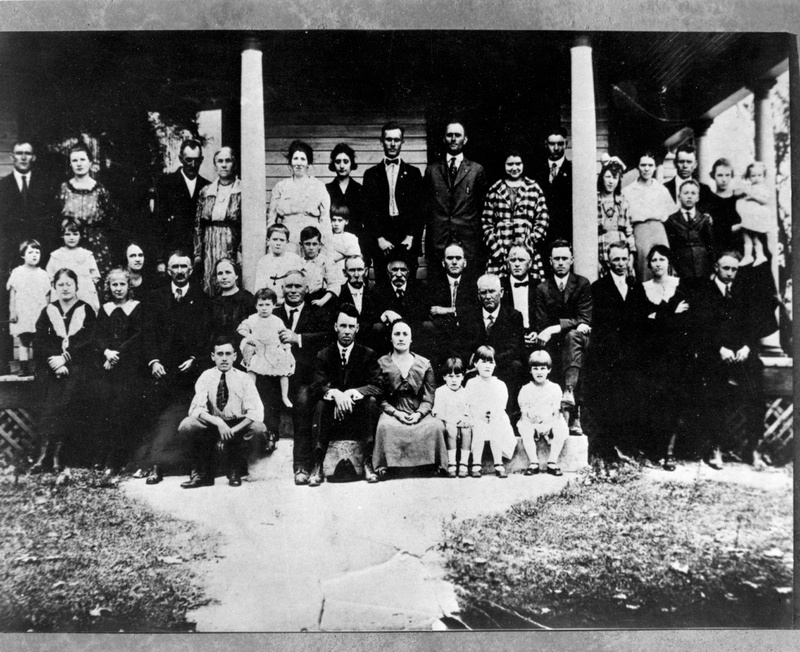 This is the William Preston / Susan Elizabeth Ethington family in September of 1920. They had gathered at the George Floyd Ethington family home in Peytona Kentucky prior to the departure of many of them for settlement in Arizona. It was on this day that the family organization was created. We welcome you to this site. It contains 50 years of research on the ancestors and descendants of this family, and now includes many Ethingtons (of various spellings) in America and some in England and Scotland. I am Harold Dean Ethington, and I have served as president of this organization since 1978. We look forward to sharing with you all we have found. Thirty one years pass. 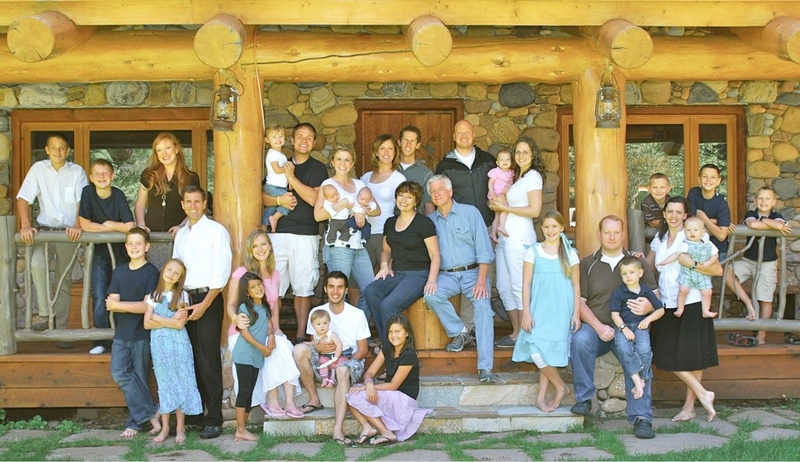 The family of Wayne Kent and DeAnn Ethington grows and assembles here on the porch of a Utah ranch. Wayne has passed away, as has Claudia, the wife of Harold Ethington his second cousin. Harold and DeAnn marry in 2010 and this photo is taken shortly after. At this writing, another is added, young Mark Richard Ethington, son of Richard and Catherine Ethington. 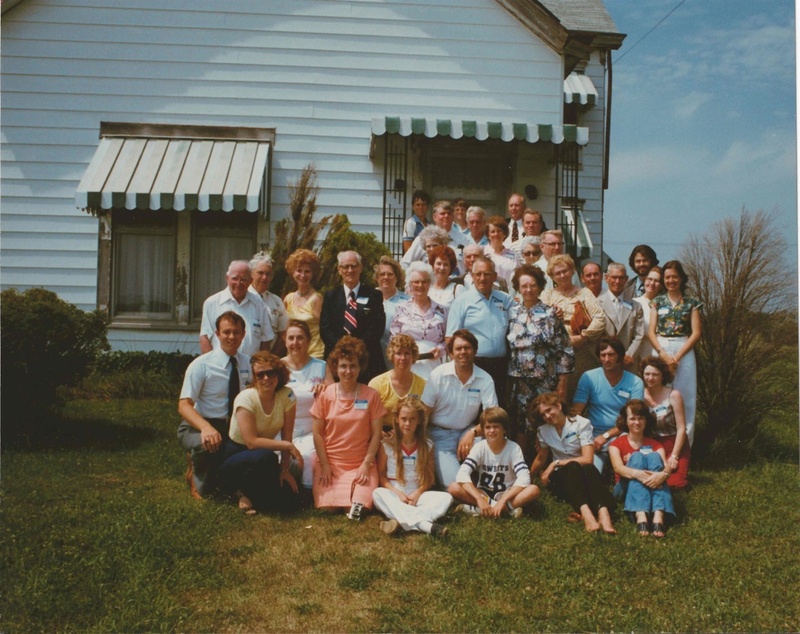 Some 60 years later the family gathered again at the George Floyd Ethington home in Peytona for this reunion with the Kentucky family, and to take this photograph. The original porch has been removed, but the window and doorway are still recognizable. Ralph Ethington is here (center standing, blue shirt) as he was in 1920, then sitting on the step, white shirt and tie, arms on his knees. 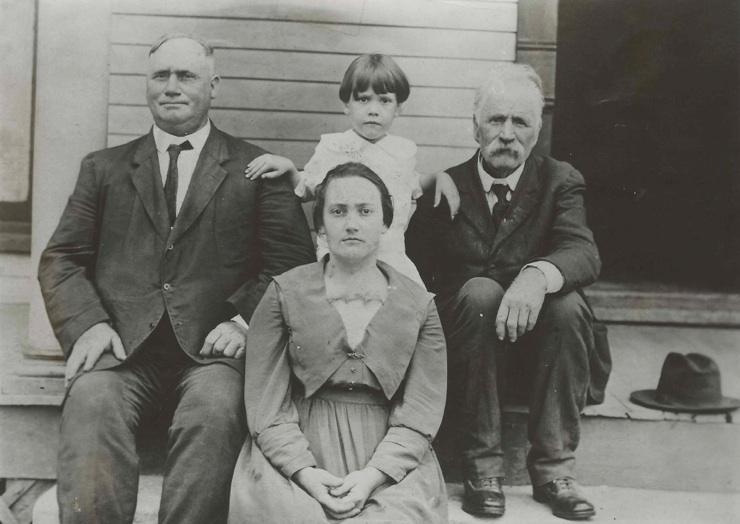 He sits in that photo at the feet of his father George Floyd (child on his lap), and near his grandfather, William Preston Ethington who is seated center, as always, with his hat on. Ralph’s older brother Gilbert Bryan was there in 1920--top row, center, bowtie. He would marry Gertrude Rice in two weeks, on the 15th. Now, in 1980, two of his three sons are here, Wayne Kent with his wife DeAnn (second row on our left, white shirt and tie, DeAnn in yellow shirt and dark glasses). And son Bryan with his wife Karen (second row, center, Karen in curls and yellow, Bryan in white polo and blue jeans). On the Porch: George Floyd Ethington (1872 - 1928) on our left. His father, William Preston Ethington (1845 - 1922) on our right, with his hat by his side. Virgie Lee Ethington Armstrong (1889 - 1975), eldest daughter of George Floyd, in front. With them is Virgie’s son Albert Woodrow Armstrong age 5 (1915 - 1992).